Everyone loves a big salad: it's how many of us prefer to eat either when cooking for a crowd or eating alone. Summer or winter, one-plate salads make for a delicious, fresh and healthy meal. 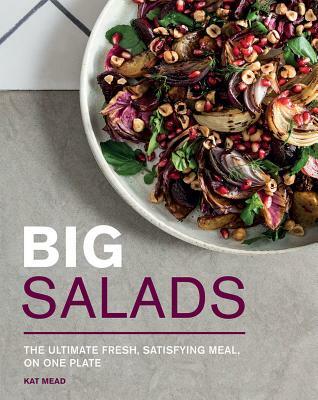 Big Salads offers 60 recipes that make the most of seasonal salad ingredients, giving people the option to eat vegetarian, vegan or use meat and fish in small amounts with a bounty of beautiful fresh vegetables, herbs and leaves. From Pea, asparagus and lemon labneh salad and Papaya salad with coconut poached chicken in spring, to summery White peach with prosciutto and watercress, comforting autumn platters of Balsamic fig and baked goats' cheese and wintry Parsnip tostada and roast heritage carrot salad, Big Salads make the most wonderful mealtime solution all-year round. Kat Mead is a food writer who has worked on countless books and magazines as both art director and stylist. This is her first book.